I regularly read Katie’s Blog (Mummy Daddy Me) and have been inspired to document our Ordinary Moments, as Katie does. These Ordinary Moments are the everyday, special, low key moments, that I want to be etched into my consciousness forever. Baby has been really struggling this week. She has her 5th tooth starting to come through and has had a cold to contend with as well. Some days she has just been screaming and it has been very hard to settle her. We have had brief interludes, when she has been trying to be her normal smiley self, but it has been a difficult time for her. 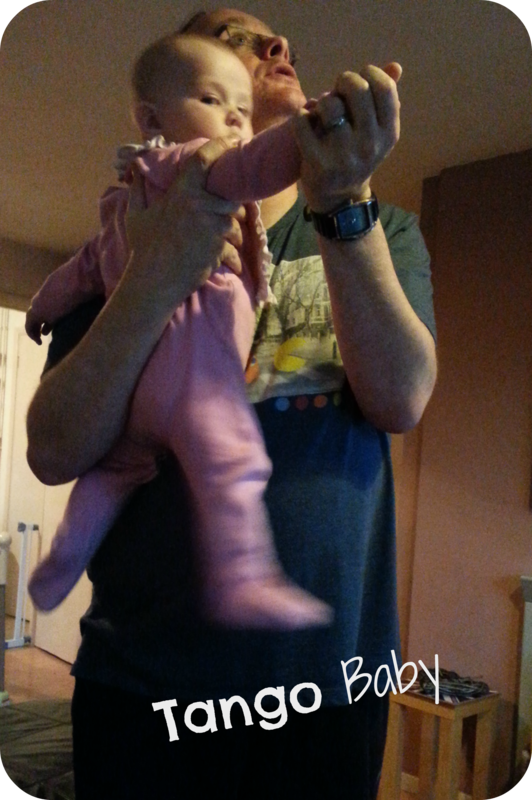 One night she was cuddling Mr Hubby and they started to dance (I think in preparation for Strictly 🙂 ) Baby had a lot of fun and it was a lovely moment during a turbulent time. Lucky Baby, Mr Hubby wouldn’t even dance with me at our Wedding!. ← Great Hungerford Bake Off!